Check out this very nice 1969 SILVER AGE DC Western page, which was penciled by the great Gil Kane, and inked beautifully by Vince Colletta! 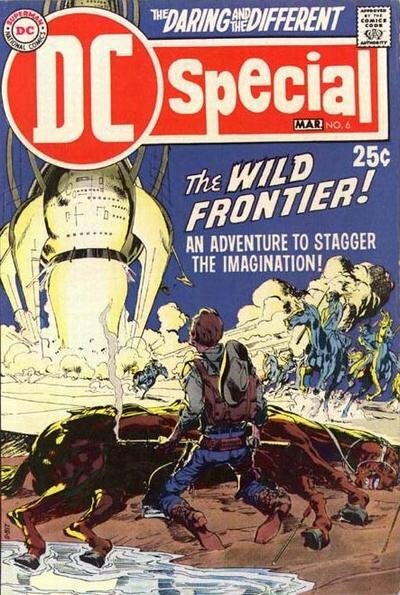 This DC special series #6 book reprinted 7 DC western stories from the 1950's, but only 8.5 pages were actually drawn in 1969 for this issue! 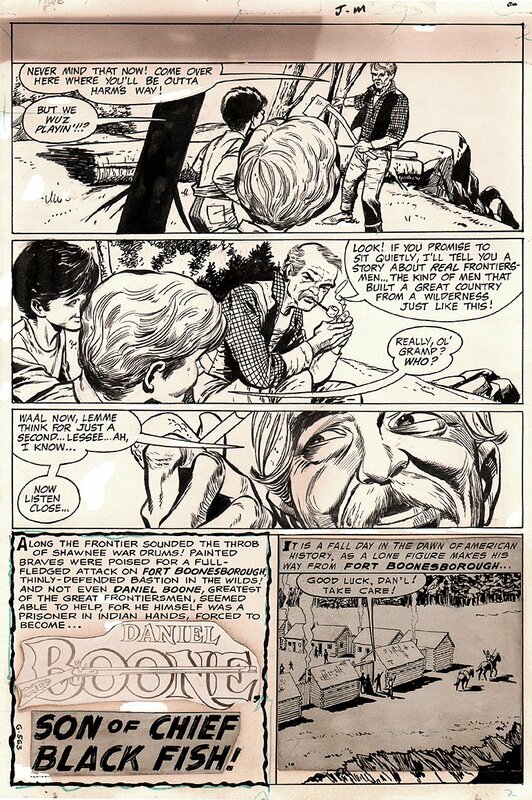 Gil Kane drew 1 short story and the page 1 for each 1950's reprint with an old man telling the western stories to his grand child and his friend. The bottom right panel is a stat with some drawn art at the bottom of the panel, from The DC Legends of Daniel Boone #1 October 1955. The page is tanned from age. A great opportunity here to own a nice SILVER AGE DC Gil Kane page! ALL art on our website (including this one) are able to be purchased with VERY fair time payments, and trades are always considered towards "ANY" art on our website! Just send us an email to mikeburkey@aol.com and we can try to work something out.